March is National Women's History Month, and our first article takes a look at the history of women in the Corps. Marine Parents and our Purple Heart Hero Support program were honored to be allowed to co-host this year's Super Bowl party at the Walter Reed National Military Medical Center. Read more in our second piece. 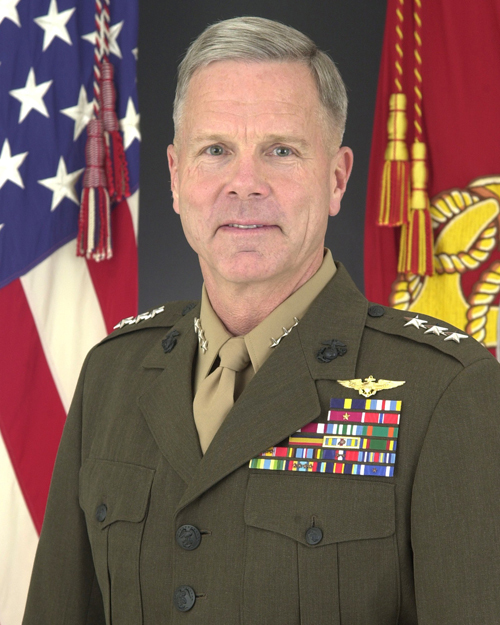 In October of 2011, USMC Commandant General James F. Amos issued an order that Marines were no longer allowed to roll their sleeves. The decision was never popular within the Corps, especially among the enlisted ranks, and has now been repealed. Read more in our third article. 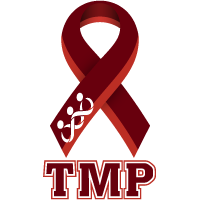 Marine Parents recently teamed up with the Marine Corps Liaison Office at Walter Reed National Military Medical Center to help wounded, ill, and injured Marines with young children. Learn more in our fourth piece. 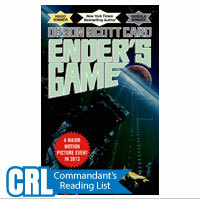 Finally, we end with a series of "quick read" articles. To learn more about the Marine Corps' first female MEU Sergeant Major, the Corps' first Asian-American officer, or the most recent Marine to earn the Medal of Honor, please check out our fifth and final piece. March is National Women's History Month and here at Marine Parents we'd like to recognize and honor the service of women in the United States Marine Corps. For nearly a century, women have served, in some capacity, in the Marines, beginning with the enlistment of Opha Mae Johnson and 304 other women in the Marine Corps Reserve in 1918. 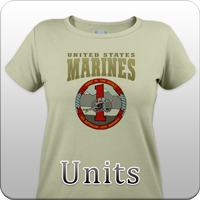 1943 was a landmark year for women in the Marines. 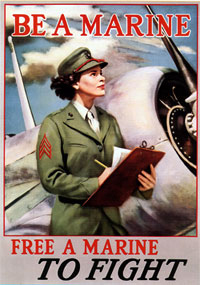 Following World War I, the Marine Corps had reverted to being an all-male institution, but in 1942, due to extreme personnel shortages resulting from World War II, the Marine Corps acknowledged the necessity of integrating females into the Corps, and on February 13, 1943, the Marine Corps Women's Reserve was officially established. Colonel Ruth Cheney Streeter was appointed as the first Director of Women Marine Reservists, Captain Annie Lentz became the first female commissioned officer in the Marine Corps, and Private Lucille McClarren the first enlisted woman. 5 years later, in 1948, President Truman signed the Women's Armed Services Integration Act, allowing women to serve in the military as permanent, regular members (as opposed to just reservists). This law led to the authorization of 100 female officers, 10 female warrant officers, and 1,000 enlisted women and the following year (1949) saw the enlistment of the first African-American females in the Marine Corps. In the 65 years since the Women's Armed Services Integration Act went into effect, numerous barriers have been broken by women in the Marine Corps, most recently on November 21, 2013, when Pfc. Cristina Fuentes Montenegro, Pfc. Julia Carroll, and Pfc. Katie Gorz became the first females to graduate from the Marine Corps' enlisted infantry training course at Camp Geiger, N.C..
Women currently comprise roughly 7% of the Marine Corps and continue to serve in an ever-increasing capacity. 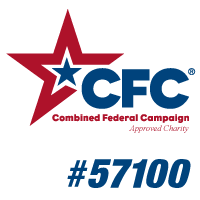 February 2, 2014, was indeed a "super" Super Bowl Sunday for MarineParents.com and the volunteers of our outreach program Purple Heart Hero Support East. We helped with football festivities at three separate locations at Walter Reed National Military Medical Center complex-Tranquility Hall (Bldg. 62), the main hospital (Bldg. 10), and Mercy Hall (Bldg. 50). We mobilized in a way that even our Marines could envy, ensuring that the Super Bowl festivities touched all on this base. For the first time, MarineParents was honored to co-host the large Super Bowl party for the outpatient community at Walter Reed, along with several other benevolent organizations who had been involved in the past. The main party was attended by approximately 500 of our recuperating heroes who are now in a rehab setting at Tranquility Hall. This turned into an absolutely awesome party for all. Corps to Return to "Sleeves Up"
In 2011, Marine Corps Commandant General James F. Amos ruled that all Marines must wear all combat utility uniforms "with sleeves down, year round." 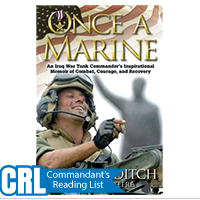 The move proved to be unpopular with most Marines and now, roughly two-and-a-half years later, Gen. Amos has reversed his decision. "As we have traveled throughout our Corps, many of you have let us know how important your identity as a Marine is to you and the Marines you lead. I can't tell you how many times we have been asked the persistent question "Commandant, are we ever going to return to SLEEVES UP?" I've thought a lot about this over the past 2 .5 years; I realize that it's important to you. Sleeves up clearly and visually sets us apart. Because of the persistence of you, my Sergeants and Corporals, this evening I am publishing a MARADMIN that will return us to SLEEVES UP status when wearing our Desert CAMMIES in non-combat areas. This will take effect on 9 March when we transition to our summer warmer weather uniforms. 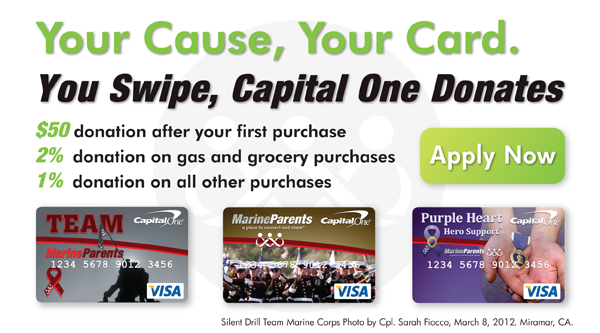 Get the word out Marines." 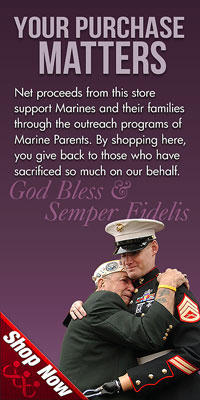 The Marine Corps Liaison Office (MLO) at Walter Reed Bethesda recently requested that Marine Parents assist them in replenishing their supply of baby items for wounded, ill, and injured Marines with young children. Of course we said "yes." In all, we shipped more than $500 worth of items to the MLO that we purchased off of Amazon. Items included a "pack and play" playpen, two bassinets and baby bathtubs (one blue, one pink), boxes of diapers, and nursing equipment for the new mothers. Sergeant Major Lanette Wright, a Boca Raton Florida native, is set to make history this week by being named the first female Sergeant Major of a Marine expeditionary unit in Marine Corps. For SgtMaj Wright, this achievement has been a long time in the making. She enlisted in the Corps 25 years ago, in March of 1989 and has received many personal decorations, including the Meritorious Service Medal with gold star in lieu of second award, Navy and Marine Corps Commendation Medal with two gold stars in lieu of third award and the Navy and Marine Corps Achievement Medal with gold star in lieu of second award. 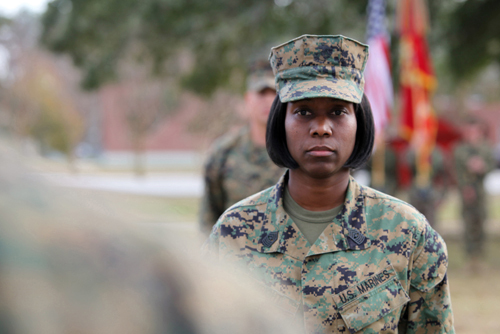 SgtMaj Wright will assume her duties during a ceremony aboard Camp Lejeune, N.C., at 1 p.m. this Friday, March 14. Korean War hero Major Kurt Lee, the Corps' first Asian-American regular officer, passed away at his home in Washington D.C. last Monday, March 3. He was 88 years old. 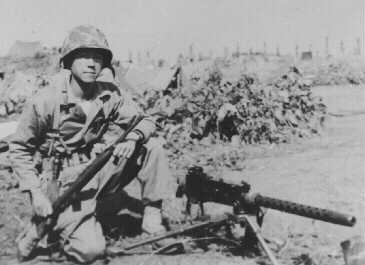 Originally from California, Lee enlisted in the Marines in 1944 and would go on to spend 24 years in the Corps, eventually attaining the rank of Major. Lee was also the Marine Corps' first non-white and first Asian-American officer. During the Korean war, Lee earned the Navy Cross and the Silver Star for separate acts of valor within a one-month period during the early part of the war. 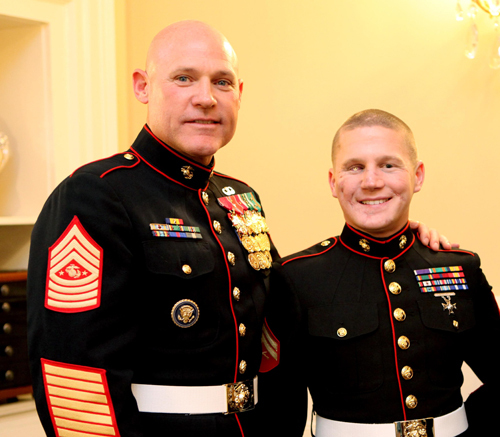 William Kyle Carpenter, a 24-year-old medically-retired Marine Corps Corporal, is set to receive the Medal of Honor for his actions during a grenade attack in Afghanistan in November of 2010. The day of the attack, Carpenter, a Lance Corporal at the time, was performing guard duty on a rooftop in Afghanistan's Helmand Province with fellow Lance Corporal Nicholas Eufrazio when an insurgent threw a grenade that landed near the Marines. According to his Medal of Honor citation, LCpl Carpenter threw himself on top of the grenade in an attempt to save Eufrazio's life. Both men survived the blast but were severely wounded. Carpenter lost his right eye and most of his teeth, his jaw was shattered and his arm was mangled. Eufrazio sustained damage to the frontal lobe of his brain from shrapnel from the blast and has only recently regained his ability to speak. Carpenter is only the third Marine to earn the Medal of Honor in the wars in Iraq and Afghanistan, and becomes only the second living Marine to earn our nation's highest honor in the last 41 years, after Sergeant Dakota Meyer became the first to do so since 1973 three years ago, in 2011. Left: CAMP GEIGER, NC - Pfc. Christina Fuentes Montenegro prepares to hike to her platoon's defensive position during patrol week of Infantry Training Battalion near Camp Geiger, N.C. on Oct. 31, 2013. Fuentes Montenegro is one of the first three females to ever graduate from Infantry Training Battalion.